1-3: Henley RC Fly In. Meyerton, Gauteng. 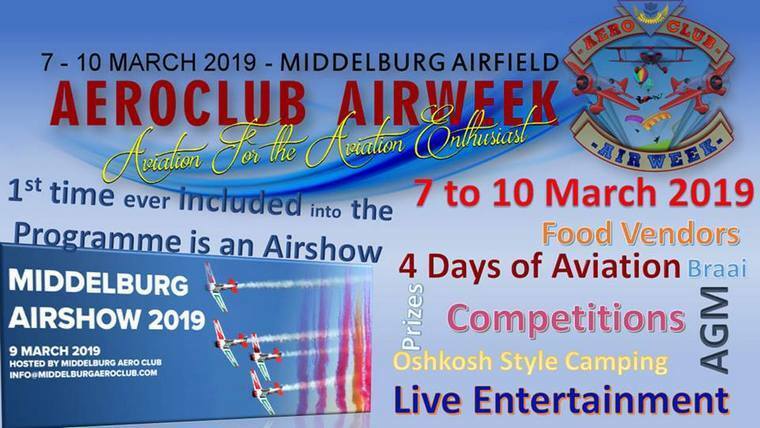 6: Coves Airfield Hartebeespoort Fly-in. Contact JP Fourie, jp.fourie@nac.co.za 083-625-4804 or Thys Kuhn, thys.kuhn@gmail.com 082-568-5614 or Jan Hanekom, jan@tilt-tech.co.za 083-279-6572. Please note than all participants need to collect indemnity & information packs from any of the contact personnel. All Fixed Wing and Helicopters are welcome. These achievements marked the first legs in earning the Polar Diamond Circumnavigator Diploma, recognized by the Fédération Aéronautique Internationale (the world's governing body for aeronautical and astronautical records and sports), which has only been awarded once before. One of the TBM owner-pilots - Sebastian Diaz from Santiago, Chile - reunited three generations of pilots in flying his TBM 850 with Diaz' father, 88-year-old Patricio (one of the oldest still fully-licensed TBM pilots); and Sebastian's son, Sebastian Jr., as copilots. The 2,700 nautical mile trip for both aircraft from Santiago, Chile, to 75° South - the latitude required for the polar circumnavigator diploma - required three stopovers and much preparation, as Antarctica offers some of the most challenging environments for aviators. The temperature averages -56°F (-49°C) with constant winds. Both TBMs had to fly over the huge continent - nearly 5 million square miles (12.9 million square kilometres) in size, largely uninhabited and mostly covered in ice. In addition, central Antarctica presents high ground that rises to more than 8,000 feet (2,500 meters), with mountain peaks reaching 16,050 feet (4,892 meters) - where clear blue skies can quickly turn to overcast whiteout conditions. On January 1, the two TBM aircraft left Punta Arenas in Chile: destination Teniente Rodolfo Marsh Martin Airport on King George Island (part of Chile's Antárctica commune in Antarctica, and the continent's northernmost airport). This airport serves the nearby village of Villa Las Estrellas and Base Presidente Eduardo Frei Montalva - the most important Antarctic base of Chile - with a 4,232-foot (1,290-meter) gravel runway. On January 2, both TBMs continued to the British Antarctic Survey Sky-Blu base, at 807 nautical miles southwest, and reached the 75° South latitude turning point before returning to King George Island's airport. On the way, TBM 930 owner Jim Baum arranged a fly-by of the National Geographic Orion - an ice-class exploration ship, enabling exciting pictures and video to be recorded. Dierk Reuter explained: "The journey from my hometown Chicago to 75S 71W and back can be summarized in figures: 18,782 nautical miles, 64 hours, 3,080 gallons of jet fuel, and 19 stopovers. But it doesn't tell the story about a pilot's feeling to fly over the South Pole. The TBM is an awesome aircraft to explore the globe!" Added Sebastian Diaz: "We also had the challenge of avoiding the freezing of the fuel because of the extreme low temperatures, for which we used more Prist [fuel system icing inhibitor] than usual. We also like to thank the Chilean Air Force for their generous hospitality at SCRM (Base Presidente Eduardo Frei Montalva)." The TBM 910 and TBM 930 are the latest members in Daher's TBM family of very fast single-engine turboprop aircraft. Differences between the two models are concentrated on their primary avionics: Garmin's G1000 NXi avionics system with physical keypad for the TBM 910; Garmin's G3000 with touchscreen controller for the TBM 930. “Build a watch” does not necessarily mean that you are building a watch it means that you can customise a watch to your specifications. It started as an idea for a unique watch that I wanted, but it was not available to purchase. I stuck my feelers out to see what the demand was. 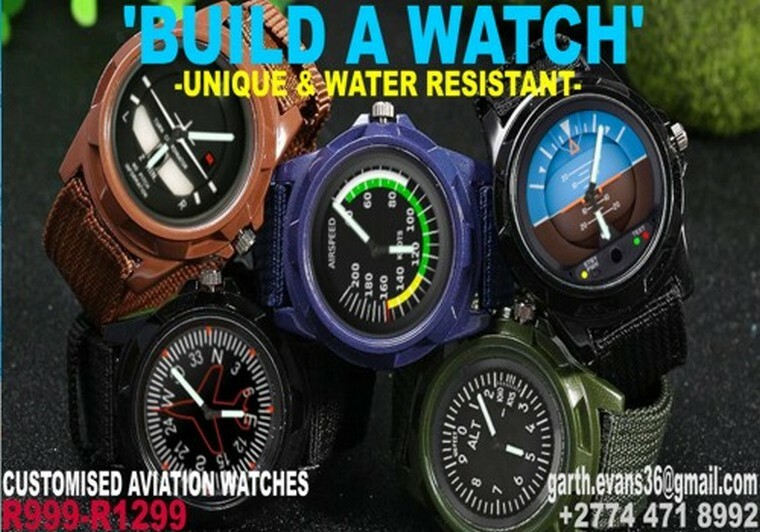 Aviation themed watches were not easy to come by. The demand was high. Boeing [NYSE: BA] yesterday successfully completed the first test flight of its autonomous passenger air vehicle (PAV) prototype in Manassas, Virginia. Boeing NeXt, which leads the company's urban air mobility efforts, utilized Boeing subsidiary Aurora Flight Sciences to design and develop the electric vertical take-off and landing (eVTOL) aircraft and will continue testing to advance the safety and reliability of on-demand autonomous air transportation. Photo © Boeing. The PAV prototype completed a controlled take off, hover and landing during the flight, which tested the vehicle's autonomous functions and ground control systems. Future flights will test forward, wing-borne flight, as well as the transition phase between vertical and forward-flight modes. This transition phase is typically the most significant engineering challenge for any high-speed VTOL aircraft. Powered by an electric propulsion system, the PAV prototype is designed for fully autonomous flight from take-off to landing, with a range of up to 50 miles (80.47 kilometres). Measuring 30 feet (9.14 meters) long and 28 feet (8.53 meters) wide, its advanced airframe integrates the propulsion and wing systems to achieve efficient hover and forward flight. 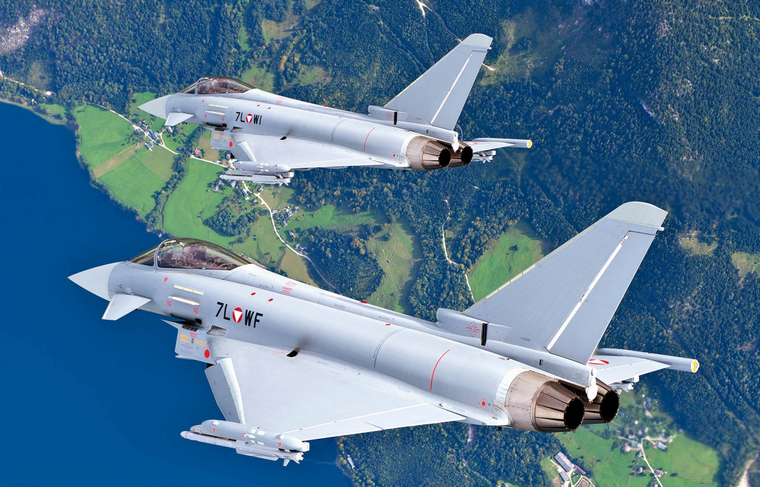 Eurofighter Typhoons belonging to the Austrian Armed Forces will secure the airspace on the occasion of the World Economic Forum 2019 in Davos. The World Economic Forum will be held in the Swiss mountain resort from 22 to 25 January, bringing together more than 3,000 global leaders from politics, industry and academia, including numerous Heads of State and Government. Photo © Eurofighter. Eurofighter's Chief Executive Officer, Herman Claesen, commented: As the proven backbone of European air defence, Eurofighter Typhoon is perfectly suited to this air superiority role, reliably protecting the airspace of our partner nations every hour of every day. It is a vital asset for all current and future operations. Eurofighter Typhoon has rapidly accumulated hours across the fleet, particularly in recent years, following an increase in the tempo of air policing and combat operations. There is now a fleet of almost 500 aircraft protecting Europe's borders, with the potential for this number to grow substantially in the coming decades. 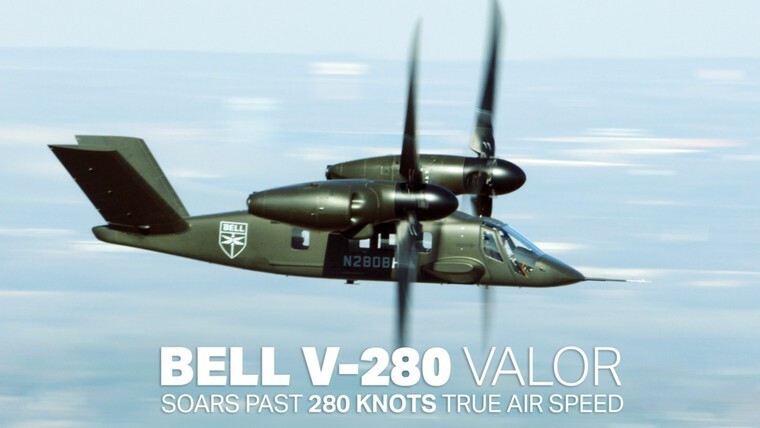 The Bell V-280 Valor successfully achieved its namesake optimal cruise speed of 280 knots on Wednesday, 23 January 2019 at our Flight Research Center in Arlington, TX.Building on a full year's worth of testing and more than 85 hours of flight time, Bell's V-280 Valor reached its namesake cruising speed of 280 knots true airspeed this week. Photo © Bell. Purpose-built to conduct long range assault at twice the speed and range of existing medium lift helicopters, the V-280's technical maturity demonstrates that close collaboration between government and industry can deliver transformational capabilities in a rapid and sustainable process. Cruising at twice the speed of legacy helicopters, with double the range, really changes the way the U.S. military can enable multi-domain operations. By eliminating forward refuelling points alone, leaders can focus on operational goals while minimizing logistical burdens. Additionally, Bell's digital design and design-as-built methodology for the V-280 focused on creating a sustainable and affordable aircraft. The team took great care to simplify designs and advance technology readiness to inform requirements for FVL CS3. As the program moves into 2019, V-280 flight testing will continue to prove out Bell's key performance parameters and reduce FVL risk in the U.S. Army led Joint Multi-Role Technology Demonstrator (JMR-TD) program. The next stages will expand the performance envelope highlighting further low-speed agility maneuvers, angles of bank and autonomous flight. Airbus has delivered India's first fully customised, ACH145 helicopter to Mr Adar Poonawalla, CEO and Executive Director of Serum Institute of India, the world's largest vaccine manufacturer by doses. This marks the entry of the highly successful twin engine helicopter into India's private and business aviation market. The helicopter will be ready to fly in India by the end of January. Photo © Airbus. "We are delighted with our selection of the Airbus ACH145 which is certainly a benchmark in its class. It has been chosen keeping in mind the highest levels of customization, comfort and safety. Also, Airbus Helicopters' comprehensive local support system will ensure the optimal availability of the aircraft," said Mr Poonawalla. "Airbus is the market leader in civil helicopters in India. Our VIP customers come to Airbus Helicopters for unparalleled quality and a bespoke experience," said Anand E Stanley, President and Managing Director, Airbus India & South Asia. "They rely on our products' ability to combine state-of-the-art technology with new transportation possibilities." The helicopter provides a spacious cabin that can seat up to eight in ACH Line, ACH Mercedes Benz Style or ACH bespoke versions. The ACH145 features Airbus Helicopters' Helionix avionics, including a standard 4-axis digital Automatic Flight Control System for reduced pilot workload. Fenestron enclosed tail rotor dramatically reduces noise levels. The Turbomeca Arriel2E engines, with dual channel FADEC, generate 951 shaft horsepower for take-off and allow improved hover and one-engine inoperative performance as well as increased maximum gross weight capability. 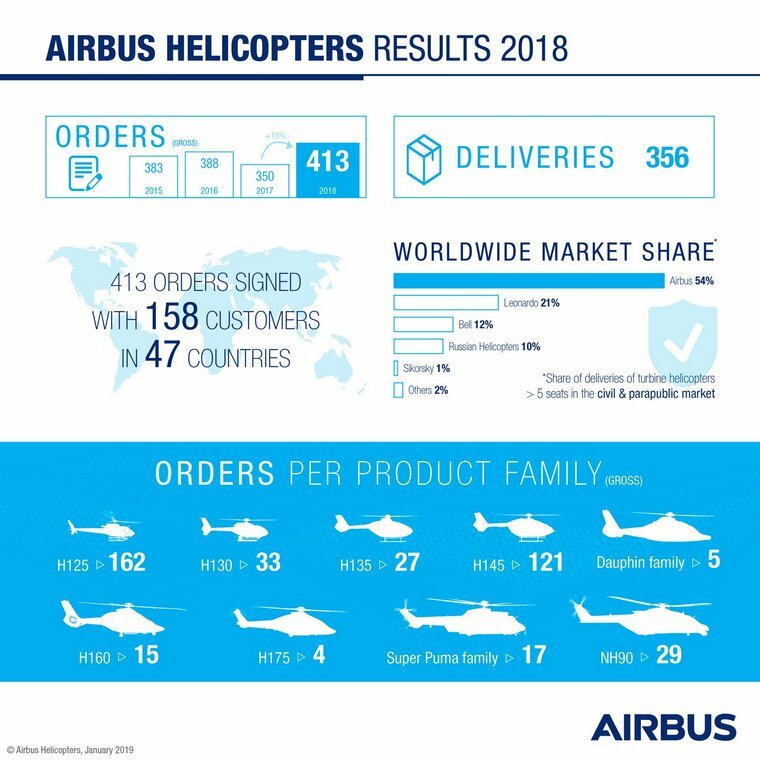 "The latest delivery proves once again that Airbus is the only Original Equipment Maker which is able to offer helicopters embedding the highest levels of innovation and end-to-end solutions for the ease of operations of customers. The delivery of this helicopter is an important milestone for us," said Ashish Saraf, Head, Airbus Helicopters India & South Asia. Russia, Khanty-Mansiysk International Airport: An Aeroflot Boeing 737-800 with 76 on board on a flight from Surgut made an emergency landing at Khanty-Mansiysk International Airport, Russia, after a passenger attempted to hijack the aircraft. While en route to Moscow a passenger claiming to be armed ordered the flight crew to divert to Afghanistan. The pilots squawked 7600 (lost communications) on their transponder. The aircraft landed safely at Khanty-Mansiysk. After landing, security forces stormed the plane and detained the man who was in a state of intoxication and was not armed. USA, Palm Springs: An Air Canada Boeing 737-8 MAX with 164 people on board, was accelerating for take-off from Palm Springs on a flight to Calgary Canada, when the crew received a Master Caution for the forward main door and rejected take-off at about 110 KIAS. The aircraft stopped on the runway, the crew declared PAN PAN and vacated the runway. Flight attendants confirmed the forward main door appeared to be properly closed. Emergency services checked the hot brakes; the aircraft was subsequently able to return to the apron. Australia, Sydney: A National Jet Express British Aerospace BAe-146-300 took off from Sydney for a flight to Brisbane however; the rear tail stand had remained attached and separated during rotation for take-off. The tail stand came to a stop on the runway surface as foreign object debris. The aircraft landed safely at Brisbane. New Zeeland, North of Taupo: A Bell 206L-3 LongRanger III operated by T & P Williams Limited PO clipped high tension power Lines then crashed near Maroa Road at Atiamuri. The pilot, the lone occupant suffered only moderate injuries. The aircraft was damaged beyond repair. USA, Jackson County: A Bell 206L-3 LongRanger III operated by Erickson Inc on a routine training flight went missing shortly after taking off from Medford-Rogue Valley International Airport. The Wreckage was located about six hours later heavily wooded area near exit 6 off Interstate 5. The pilot was fatally injured. USA, San Francisco: A Hawaiian Airlines flight from Honolulu to New York was diverted to San Francisco on Thursday when a flight attendant suffered a fatal medical incident. Friends confirmed that the male attendant, who had more than 30 years of service, was stricken as the flight was over the Pacific, prompting the emergency diversion. India, Uttar Pradesh: An Indian Air Force "Jaguar" fighter on a routine mission from Gorakhpur crashed in Kushinagar, Uttar Pradesh, in the north of India. The pilot manged to eject safely. The South African Air Force is established as an independent air arm. 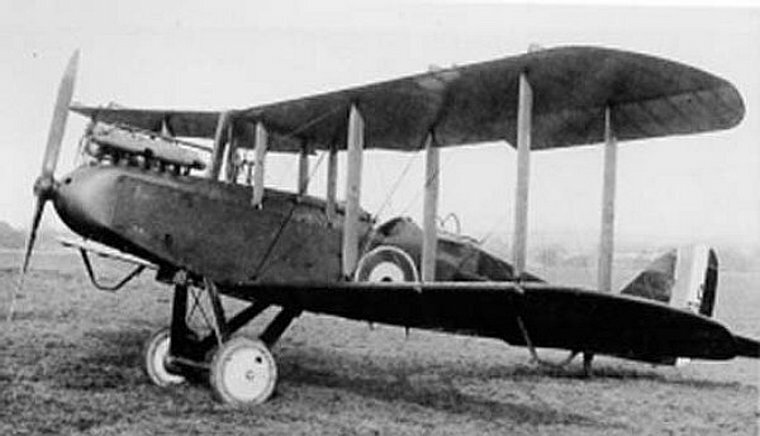 On conclusion of the First World War, the British Government donated surplus aircraft plus spares and sufficient equipment to provide the nucleus of a fledgling air force to each of its Dominions. As part of this donation, which was to become known as the Imperial Gift, South Africa received a total of 113 aircraft from both the British Government (100 aircraft) as well as from other sources (13 aircraft). 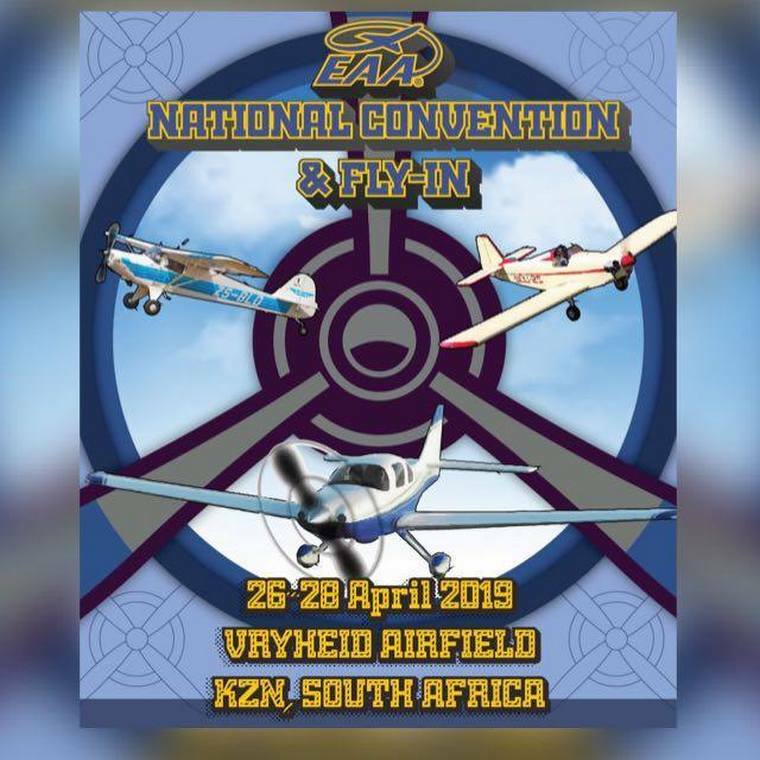 On the 1 February 1920 Colonel Pierre van Ryneveld was appointed as the Director Air Service with the task of forming an air force, the date is used to mark the founding of the South African Air Force. In December 1920 the South African National insignia was added to aircraft for the first time. An Orange, Green, Red and Blue roundel was added to an Avro 504K for trial purposes but the colours were found to be unsuitable and were replaced with a Green, Red, Lemon, Yellow and Blue roundel in December 1921. These colours remained until 1927 when they were replaced with the Orange, White and Blue roundels.